Gould’s reply to my inquiry I heard through Francis was just as I thought it would be. I understand. Even if he were not busy he wouldn’t have met with me. However, since Robert and Francis knew me and trusted me, they wanted to do something for me. Because of our conversations and letters I’d sent them, they were well aware of my limitations when it came to the English language. I guess they thought it would not work in my favour to contact Gould directly. They were worried about my ability to communicate in English, so they suggested they sent Glenn a letter for me. I was deeply touched and grateful for this on the one hand, but felt peeved on the other. The next day I had some business near Southwood, and since I was very impatient I dropped by the Smiths’ place before the agreed day and time. I was very sorry because I woke Robert from his sleep. Thusly, on October the 4th the gift that looked like it had just arrived from Gould and that included 5 records with his autograph was placed into my hands. 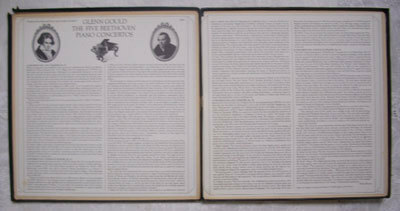 Gould died precisely one year later. With my precious package in hands I took the subway to Dundas Street, changed to the streetcar, and went to let the glittering Lake Ontario about the records. 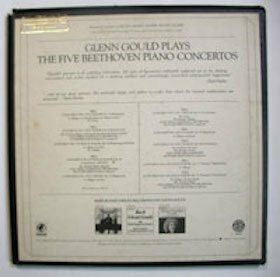 According to Ray Roberts, who had been working for Gould for 12 years, because of his superstition Gould made it a point not to give his records to other people. My present was an autographed collection of Wagner’s compositions that was not intended for sale. 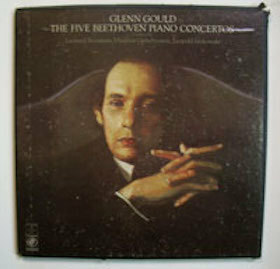 It included records from “Die Meistersinger von Nürnberg (The Master-Singers of Nuremberg): Prelude to Act 1”, “Götterdämmerung (Twilight of the Gods)” to “Siegfried Idyll”, and the Complete Beethoven Piano Concertos.